Santo Domingo jewelry gives the best glimpse into Native American Indian jewelry before European influence. More than other neighboring tribes and Pueblos, the Santo Domingo artists rely on stonework to create their jewelry. The word heishi actually comes from the Santo Domingo Indian word for “shell,” one of the materials used for jewelry before the introduction of metals by the Spanish in the sixteenth century. 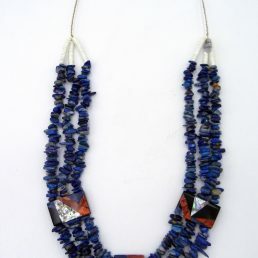 Heishi jewelry, primarily necklaces, is made by stringing stone beads or discs together to create color-block patterns. Many of these beads or discs are carefully shaped and polished to prevent gapping between the stones, interrupting the pattern. Other heishi necklaces use uneven stones to create a textured look. 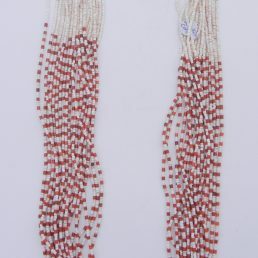 Shells are still very popular in Santo Domingo Pueblo jewelry and are often used as necklace pendants or are the primary stones in earrings. 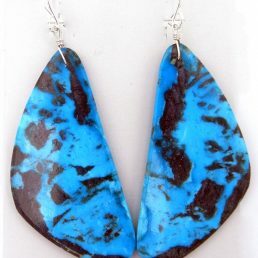 Santo Domingo Pueblo jewelry artists are also known for slab stone earrings and sterling silver work. Slab stone earrings use minimal metal, letting the simple beauty of a polished stone stand out. 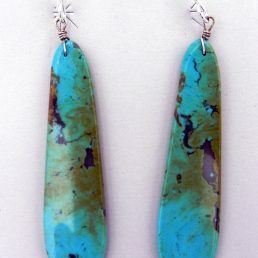 Most frequently, slab jewelry uses turquoise and shells, but other gemstones are used as well. 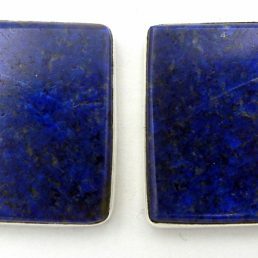 Santo Domingo Pueblo jewelry artists most commonly use the tufa stone-cast and overlay silverwork, creating textured, three-dimensional jewelry. Although as a Pueblo, Santo Domingo is most famous for its heishi jewelry, some of the most famous contemporary Santo Domingo artists are silversmiths. Coriz creates overlaid sterling silver jewelry with traditional Native American symbols like cornstalk and rain as well as animal shapes. 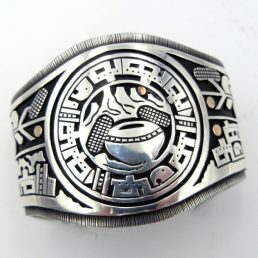 Coriz is one of the few Native American Indian artists who works with a precious metal other than silver. Some of his pieces feature 14K gold overlay. Gilbert “Dino” Garcia is also highly prized self-taught silversmith. 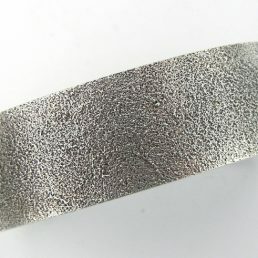 Garcia creates his sterling silver jewelry using the tufa cast method. His bracelets, especially, highlight his use of geometric designs that stand in relief to the textured silver base. 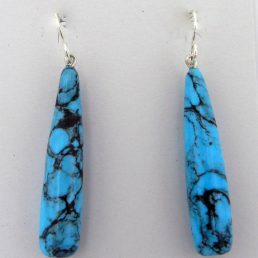 Palms Trading Company buys jewelry directly from Santo Domingo Pueblo artists, so we guarantee each piece is authentic. Our direct relationship with the artists allows us to bypass middlemen distributors, and we pass the savings on to you. Palms Trading Company offers authentic Native American Indian jewelry at low prices—50% below retail. 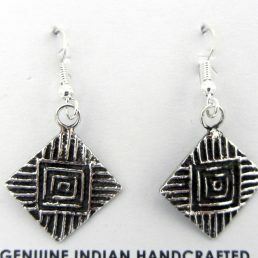 The selection of Santo Domingo Pueblo jewelry on our Web site is a small sample of the larger collection in the store. 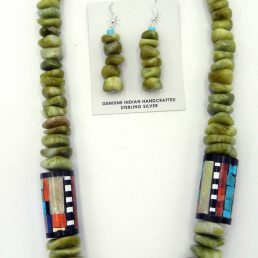 If you would like to see more Santo Domingo Pueblo jewelry, our personal shopper can assist you. Contact us to get started!